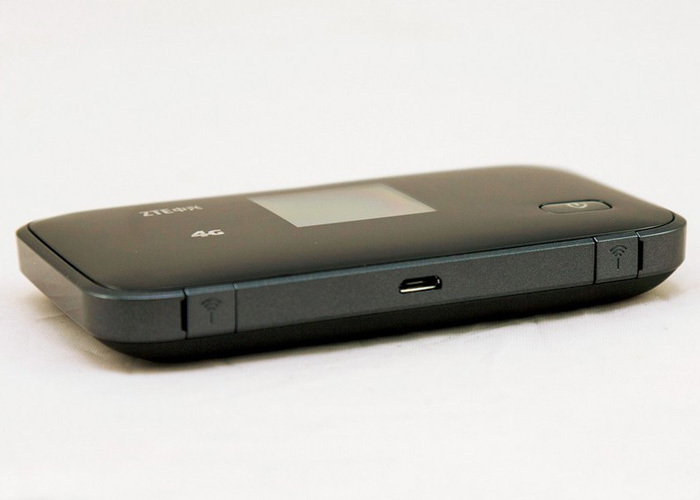 Following Huawei E5776, the candidates ZTE has a new 4G mobile hotspot now with LTE support and colorful screen on offer – ZTE MF93E. We have all the key data summarized for you and show you where advantages and disadvantages are similar to Huawei models and whether the purchase worthwhile. 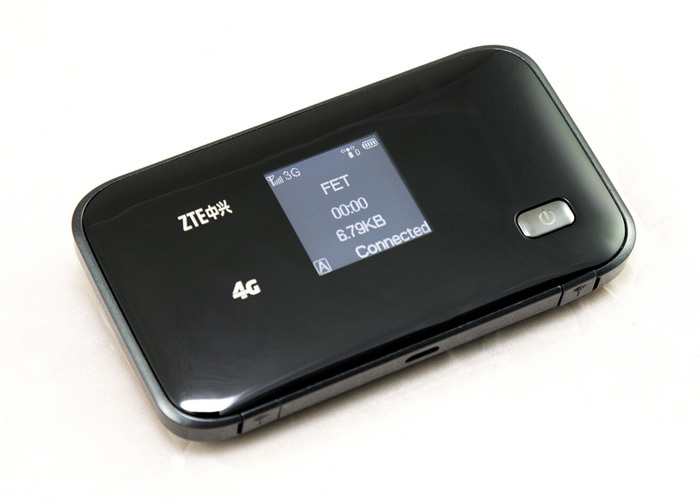 ZTE MF93E is a so-called “mobile hotspot” router. This type of device looks like space-saving mobile phone in pocket size, but they would provide just wireless network with router function. So users can go outside not just with one terminal, actually , in this case, up to 10 wireless devices could be taken if there is ZTE MF93E in hand. The ZTE MF93E supports LTE category 3 at 1800 & 2600 MHz (FDD mode), and 2300 & 2600 in the TDD modulation mode. The latter, however, is largely prevalent in Asia. The LTE band 800 MHz is not covered, which means some insignificant shortcoming in certain area and countries. LTE Category 3 allowed data rates of up to 100 Mbps for downstream and 50 Mbps for upstream. In addition, however, the router can also access major 3G and 2G standards to the Internet, such as UMTS, HSPA+, EDGE or GSM. The WLAN module is working on 802.11b/g/n, so that internal networking data rates of up to 150 Mbps can be achieved. This is not necessarily “often state the art”, but at least functional. After all, this is not self-evident; the operation in the dual band of 2.4 GHz and 5 GHz is possible. In addition, there are two TS-9 ports located on the bottom for connecting an external antenna to the receiving optimization. ZTE MF93E has a battery of quite handsome capacity of 2800 mAh, which should be sufficient for 9-10 hours operating time. Of course, the user can also operate on AC power, provided a power source is present. On the front, ZTE MF93E has built a color information display. This is partly for control and also displays any relevant connection status, such as the radio standard used or surfing data volume during the online session. There is no doubt that ZTE MF93E is a very visually attractive device. Since the release time is too long ago in the first quarter of 2014, there are no technically new similar models for competition. 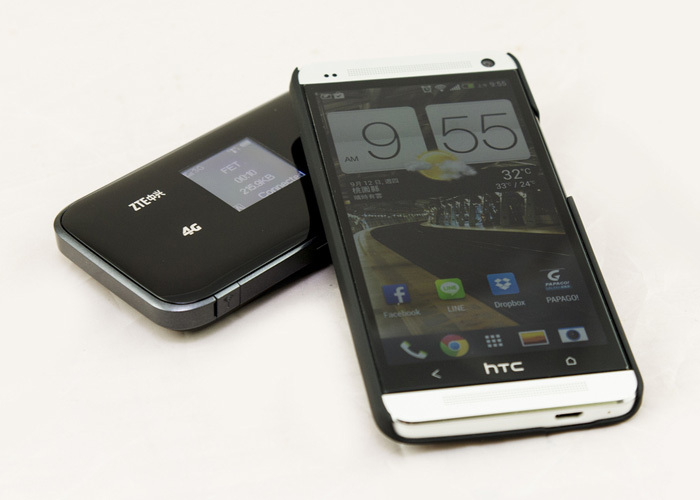 The MF93E is most likely comparable with Huawei E589, which has similar specifications, but not all. In conclusion, ZTE MF93E satisfies the LTE category 3, and supports the maximum speed to 100Mbps, which is good enough for normal use under good network condition. Also the battery is good enough with 3000 mAh capacity. But if you want LTE category 4 mobile WiFi, the best alternative would be the Huawei E5372, which is already offering LTE Category 4 and connection speed reach up to 150mbps. Whether you think ZTE MF93E is suitable for you or not, you must make your own decision if you a real good 4G pocket MiFi.